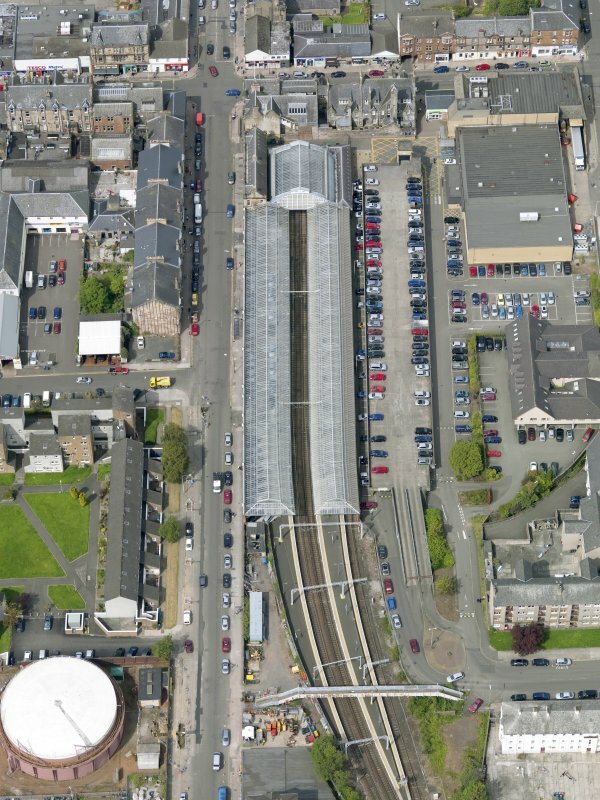 Oblique aerial view of Helensburgh Central Station and Council Offices, taken from the ESE. 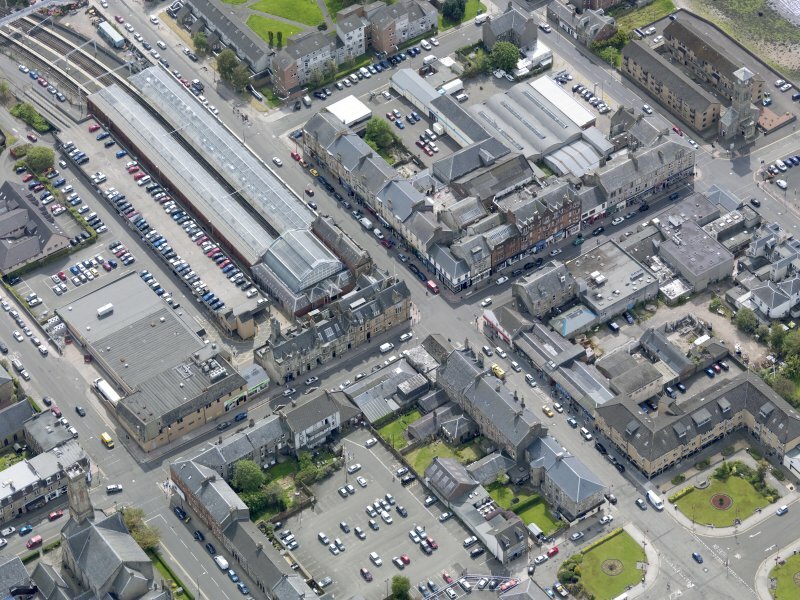 Oblique aerial view of Helensburgh Central Station and Council Offices, taken from the NW. View of W end of platform from ESE. 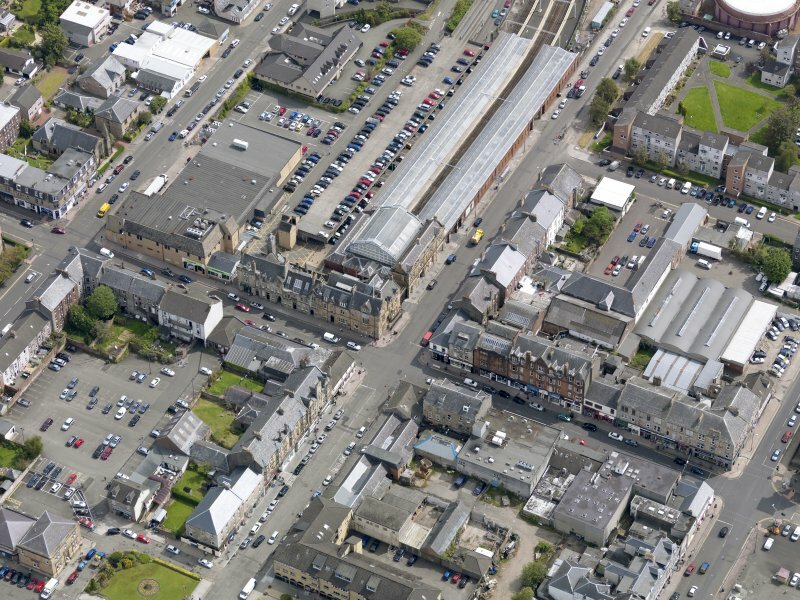 Oblique aerial view of Helensburgh Central Station and Council Offices, taken from the SSE. 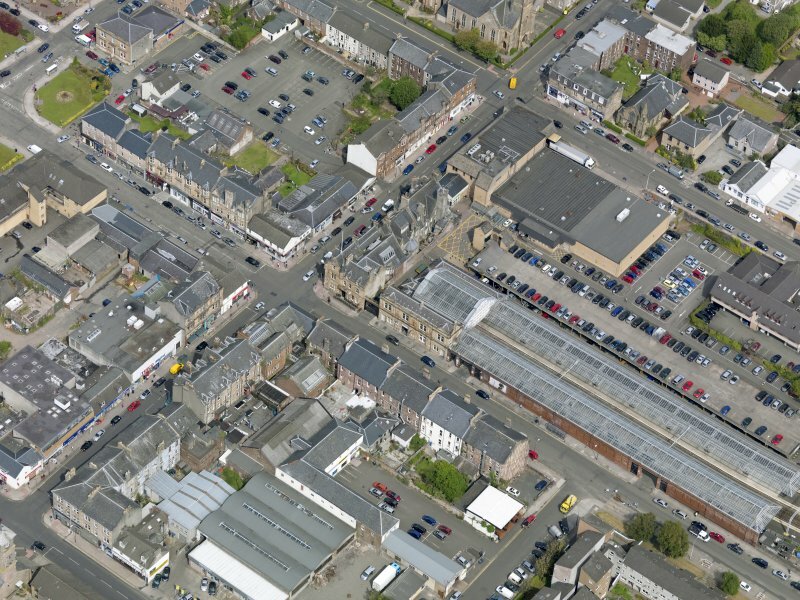 Oblique aerial view of Helensburgh Central Station and Council Offices, taken from the WSW. Not to be confused with Helensburgh Upper Station (NS 2997 8328), for which see NS28SE 45. (Location cited as NS 298 824). Helensburgh (Central) Station, opened 1858 by the Glasgow, Dumbarton and Helensburgh Rly., and rebuilt in the late 19th century. 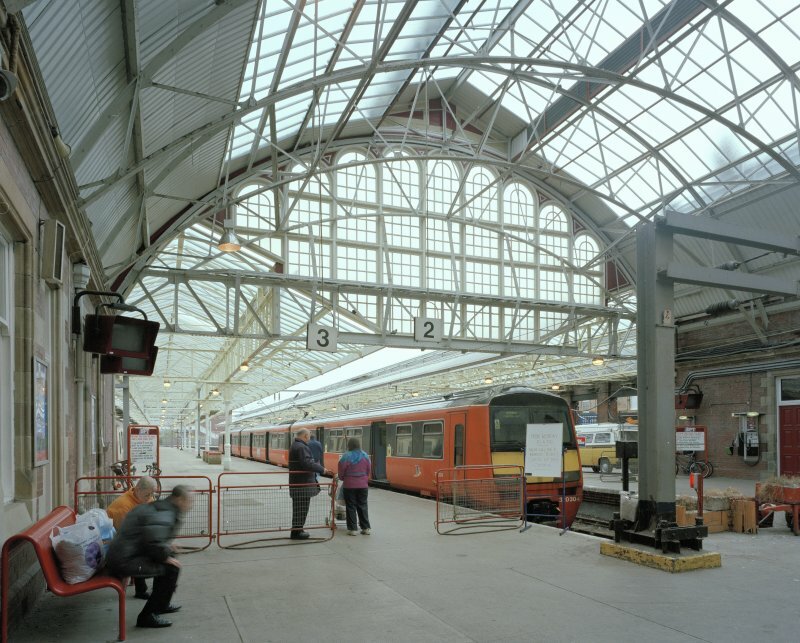 A four-platform terminal station with glazed steel-framed awnings over the platforms, supported on cast-iron columns and brick side walls. 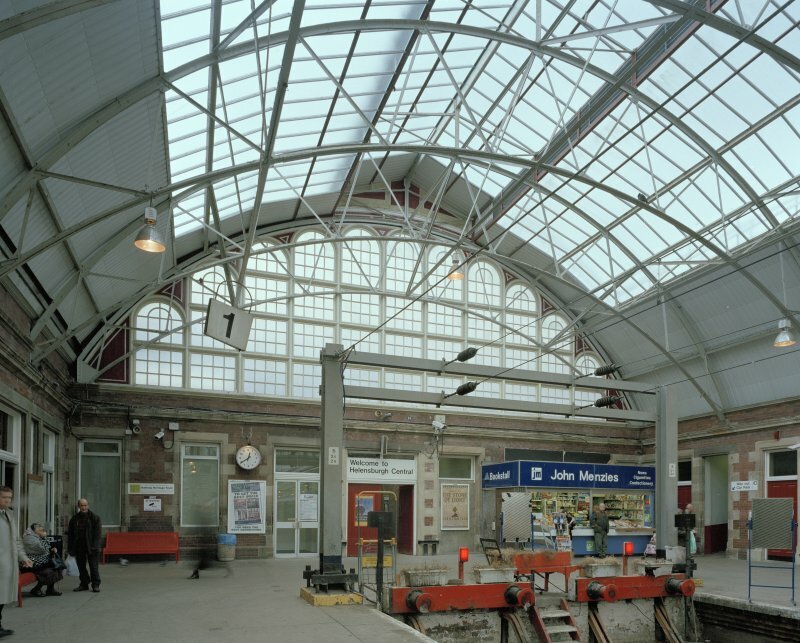 The ends of the platforms and the circulating area are covered by an arched overall roof with an attractive glazed screen. The offices are grouped round this in a 1- and 2-storey, U-plan range, with a 4-bay Renaissance street frontage. 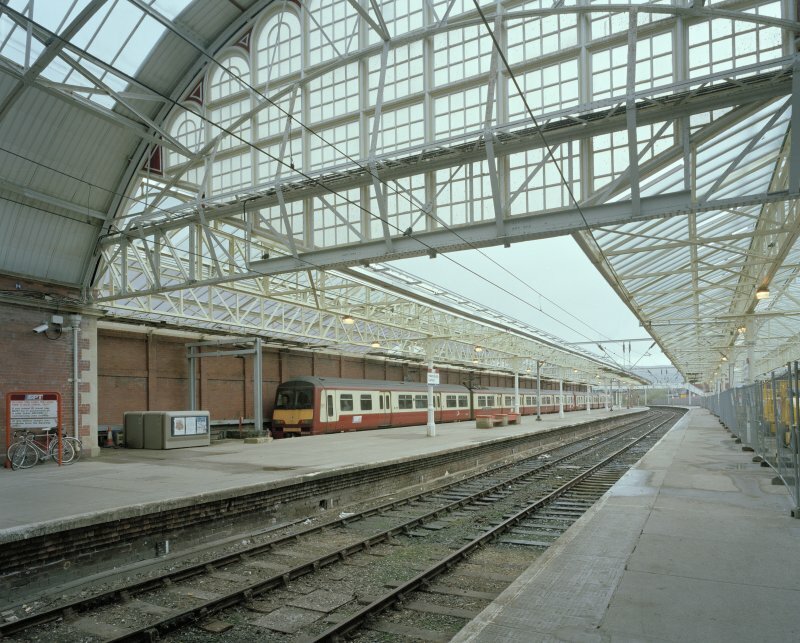 This station is the terminus of the Helensburgh branch and was opened (as Helensburgh Station) by the Glasgow, Dumbarton and Helensburgh Rly. 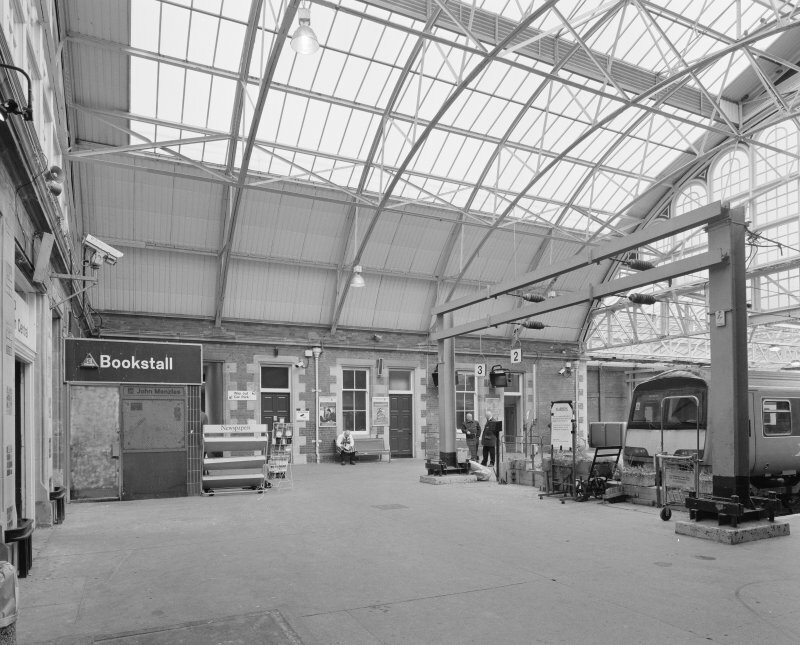 on 28 May 1858, and renamed Helensburgh Central Station by British Railways on 28 May 1955. It remains in regular use by passenger trains, and has been electrified. 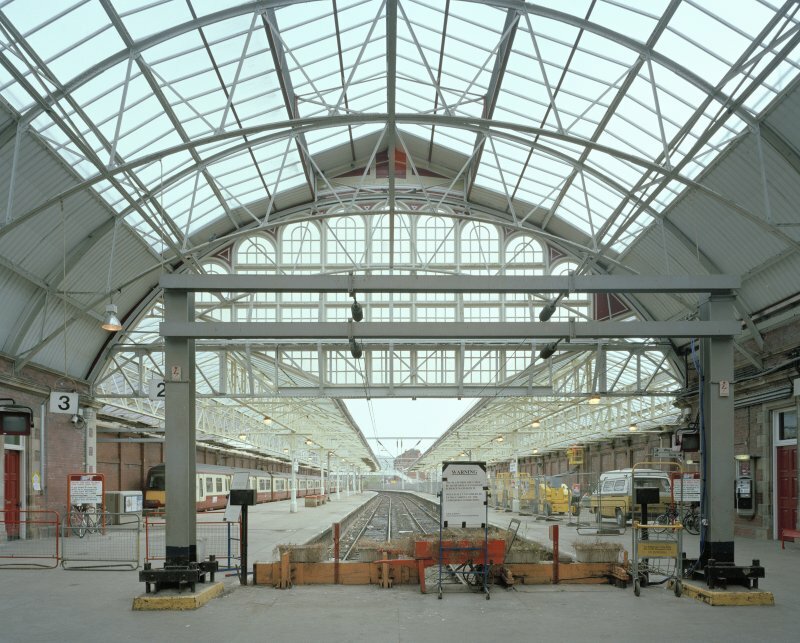 Photographed in April 2000, by a RCAHMS photographic team, following completion of Railtrack restoration scheme. Visited by RCAHMS (MKO), April 2000.